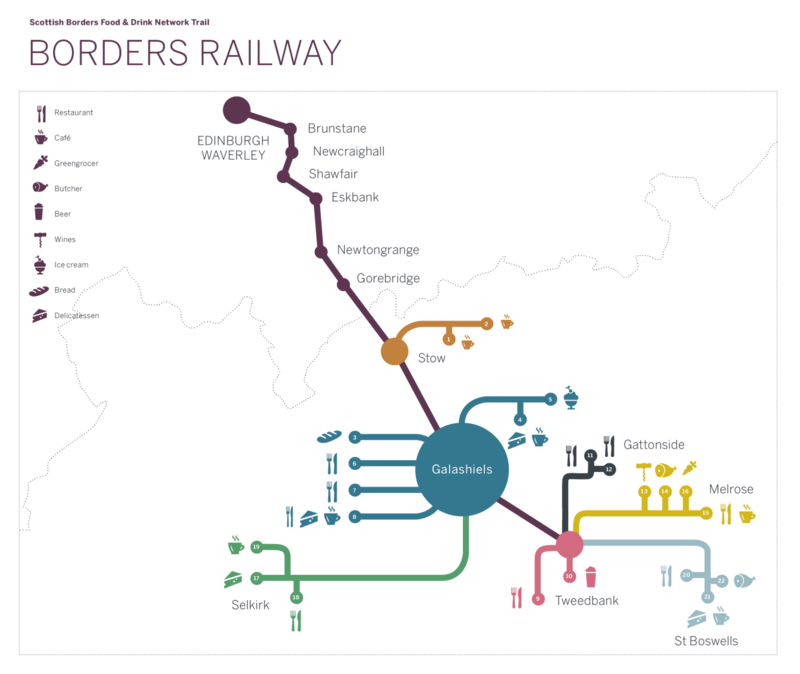 Following the historic Waverley Route, the new Borders Railway is one of the most scenic rail lines in Scotland, connecting the capital city of Edinburgh with the heart of the Scottish Borders. Passing through rolling green hills, pretty villages and wooded valleys along the course of the Gala Water – whether you step off to enjoy a wander around attractive Stow, or carry on to the central Borders town of Galashiels or its neighbour Tweedbank, you will find a very warm welcome. The Borders is famous for its hospitality and great food, produced by a community who are passionate about provenance, freshness and flavour.